In this cross-section, W is on the left and E is on the right. The topography is in green at top, and the seismic wave speed, Vp, is at bottom Francis T. Wu. 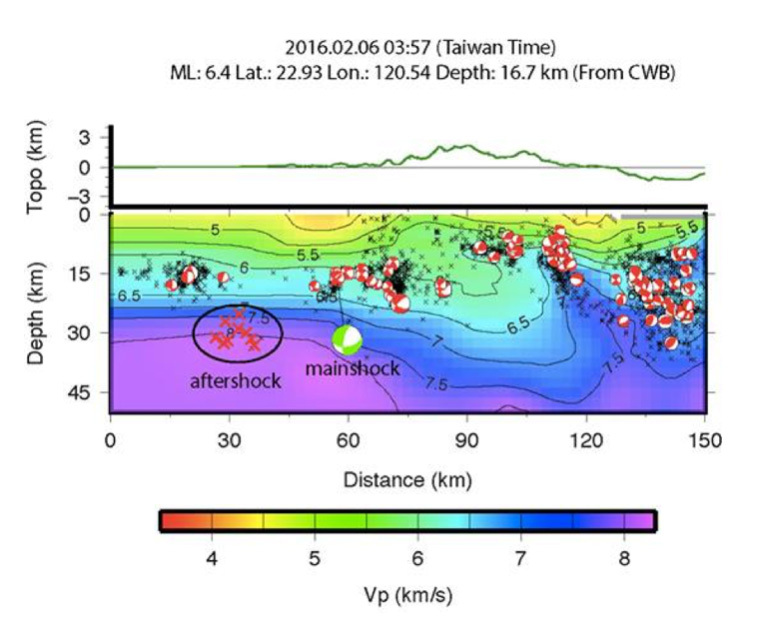 The 6 Feb 2016 (Taiwan time) M=6.4 mainshock is the green ‘beach ball’ (focal mechanism). Taiwanese seismologists suspect that the rupture aligns with the small red beachballs on a gently inclined ‘blind’ thrust fault.